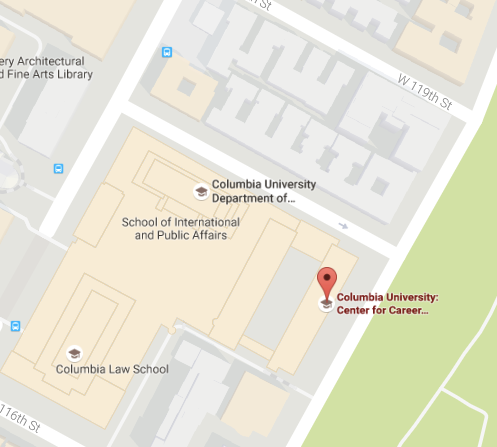 Please contact additional Columbia University Career Centers to reach populations not support by CCE. On-Campus Interviews allow you to host your job interviews at the Center for Career Education. Interview rooms cost $100 per room per day. Cancellations: Employers must notify CCE of any cancellations at least 5 business days prior to the date of the interview to receive a full refund. Employers who cancel within the 5 business days will be responsible for payment in full. Additionally, please review our Interview, Offer and Acceptance Guidelines. LionSHARE, our online job board powered by Handshake, reaches over 65,000 current students and alumni. Using LionSHARE, you can post job and internship opportunities, schedule on-campus interviews, register for career fairs, and request employer information sessions. Information Sessions are a great way for you to inform and educate students and alumni about your organization, current openings, your company culture, and industry nuances and trends. It also gives Columbia alumni at your company the opportunity to return to campus, network with current students and promote your brand. These large-scale events occur annually and are an opportunity for employers to interact with students and alumni. These fairs range in numbers from 50 to over 100 employers and can attract as many as 2,000 students and alumni. These customized small-scale events began in response to student and employer feedback of creating more tailored opportunities for different industries. A showcase is a two-part event. First, there is an educational component which includes a panel of speakers followed by networking. These events typically attract 7 to 12 employer participants, and about 100 students. Reach out to cce@columbia.edu for additional information on how to get started!